Pastor Daniel Wayne Manzano, 69, of New Albany, Indiana, passed away on Friday, April 12, 2019. 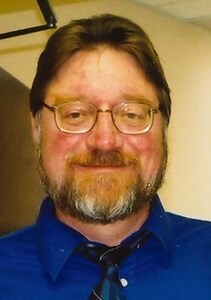 Daniel was a registered Nurse for Ohio Valley Home Health, the founder of Apple Tree Ministry, and a graduate of Southern Adventist University. He ministered to many local churches, including the communities of Jeffersonville, Scottsburg, and Madison. Daniel also enjoyed to read and travel. He was born on March 14, 1950, in Takoma Park, Maryland, to Pastor David Manzano and the late Eileen (Gill) Manzano. Daniel is survived by his loving wife of over 18 years, Rose Manzano; father, Pastor David Manzano; sister, Martha Baugh (John); niece, Suzie Leigh; stepchildren, Keith Wathen (Yvonne), Kevin Wathen, and Jennifer Plaiss (Jeremy); and grandchildren, Alicia and Josh. Cremation was chosen following Daniel's wishes. A memorial service will be held on Saturday, April 20, 2019, at 3:00 p.m. at New Albany Seventh Day Adventist Church (1101 Silver Street, New Albany, IN 47150). Please consider sharing a memory of Daniel or leaving a special message for his family using the "Share Memories" section below. Add your memories to the guest book of Daniel Manzano. Pastor Dan was very knowledgeable about the Bible and loved to talk about the love of God. He was a very kind man who loved his Savior. Pastor Dan always showed how much he loved his congregation and wanted us all to have the full armor of God to fight the evil in this world and prepare for the home we will see when our Lord comes back. I remember how, each time I had Bible questions or was confused or unsure, he would always take the time to help me to understand. He was also always so happy. It's so clear to see that the love of Christ was in his heart. He was a good and trusted friend, but so much more. How can thank you be sufficient for someone who helped to guide you closer to the Lord? I will miss him but look forward to seeing him again! Pastor Dan was a member at our church in New Albany. He preached and taught there. He added so so much to our church. We were so happy when he & Rose decided to become members there. Even though they have only been members for a short while, they gave a lot of themselves and truly blessed us. Pastor Dan taught Sabbath school and preached the Sabbath before he died. I was telling my husband how blessed I was with his teaching & preaching and we were so looking forward to all the knowledge he would bless us with at our church. We were shocked and heartbroken to hear of his death. But I praise God for allowing us to know him and we look forward to seeing him again with our Savior! Pastor Dan was such a kind and sweet man. We could tell by the way he looked at Rose and she at him that they loved and adored each other. I had the privilege of sharing some time together with them in their home when Rose gave me some fabric a few years ago. Pastor Dan also encouraged me to put in an application at his place of employment (We are both nurses) where I still work. We shared some nursing stories and often laughed about some things we’ve experienced in our profession, but what impressed me the most about Pastor Dan was deep caring for everyone, family, friends, patients, co-workers, friends, and strangers who he met. Pastor Dan has the rare ability to really listen and empathisize with those he talks to. When you talked to him you knew he was listening with his undivided attention. I remember when our children were in a terrible accident Pastor Dan was faithful to visit even tho’ he wasn’t our pastor. He came to see me in the hospital on several occasions when I was very sick or facing surgery. His prayers brought a calm over me and my family and we knew he was a man of God. You could tell he really cared about everyone of God’s children. I never heard him say an unkind word about a single person. He will be sorely missed by us all. Our prayers and thoughts are with Rose and the family during this time of sorrow and loss, but we share the hope of seeing our friend Dan on resurrection morning. May the Lord hold your family close during this time. Be comforted by the beautiful memories, and look forward to the great reunion with Jesus and all of the Lord’s children. We loved Pastor Dan and we love Rose and your family, may God be with you and bring you comfort and peace. My most fond memories of Uncle Dan were when I was a toddler, right after my dad passed away. He was kind and gentle and always supportive and really helped my mom out a lot as she faced being a single mother. I remember the way he used to tap one finger on the side of the salt shaker at meals and I always poked fun at him for that. My heart hurts for the rest of my family, especially my grandpa and Aunt Rose, as we say such an unexpected goodbye. Pastor Daniel always had a beautiful smile and his face just radiated. I always thought it was because he had the Holy Spirit - Jesus shining within him - and he did! I admired him so very much and could hardly wait for Sabbath to begin when he preached at the Jeffersonville SDA church. I loved listening to him preach the message, always so full of love for Jesus and his fellow men. I will always remember him and know that God spoke through him to help us all to become better Christians. It has been a great loss for so many but I pray for the day the Lord comes and takes us home and we will be together again! He was my brother and my friend. Growing up he did the older brother routine very well and drove me nuts! When my first husband died he made sure I got over the firsts that you have to face. I’m so grateful he found a loving wife and her family that took him in. I praise God we will be reunited one day when Jesus comes again. Pastor Dan was to preach at Seymour SDA this Sabbath and has been filling in over the past month. Pastor Dan was my go to ..time and time again for clarity and understanding of scripture. He stood by me and our family the night Todd passed away. His messages were led by God he was anointed and obedient! I am very sad to hear this and my heart is very heavy for Rose and Dan’s family. I plan to meet Dan at gate eleven someday and what a glorious day that will be!! Rose hold onto Jesus he is with you always!! He will get you through this. Sending my love and prayers??????? ?